This summer saw us lay flat on the operating table as we were effectively taken to pieces; and shamefully, not for the first time. The Tottenham squad underwent major spinal replacement surgery which saw the team dissected just in time to dent our initial hopes and aspirations for the season ahead. We watched on as the spine of the team was shattered into pieces and shipped out first class to the likes of Germany and Spain for a few quid; whereas other pieces had been worn-down to almost nothing and decided to call it a day. What proved more painful was finding ourselves reeling in the uncomfortable feeling of Post-traumatic Stress Disorder. Only Spurs could finish 4th and still find themselves prisoners in the Europa League. Too often have we proven to be our own worst enemy, the primary suspect to our own demise. We seem destined to forever be the 'almost' club, flirting with our limits and constantly knocking at the proverbial door while our attempts at progression prove to be in bleak vain yet again. However, this was my primitive, pre-AVB opinion of Spurs. My present and preempted view is slowly masking this. Levy took a chance, sacking fan tabloid favourite Redknapp for Chelsea's Portuguese ex-manager. I made it clear I was delighted. Frustrating as it was, I felt only two-thirds of Spurs fans were initially behind the appointment. Ironically, I felt many were lingering for too long at the bigger picture without picking into the finer details of his appointment and what the underlying causes of the spectacular failure at Chelsea actually were. 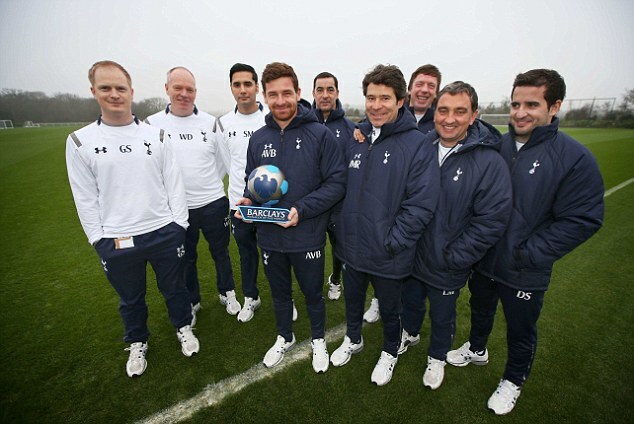 With AVB came a new and unproven spine of players and, with that, came a varied medium of expectation. Some sensed relegation and wanted AVB out before he'd set foot in Spurs territory. Some didn't. I personally felt my expectations were that of a challenge and a push for 4th spot but settling for what initially felt like a hopeful 5th placed finish. We can't expect after an immense level of transition for us to pull through completely unscathed this year, could we? One or two league positions truly emphasise the fine line between expectation and over-achievement. Can we define success by finishing one place higher than what was definably perceived as expectation? Arguably 5th seemed hopeful back in the summer but now that would be viewed as rather underwhelming. We currently sit just 5 points shy of second place, yet Manchester City will always appear to be further away than the ends of our finger tips. Expectation grows exponentially with winning fixtures, especially towards the end of the season, but sometimes the feat of level-headed reasoning and some understanding of the transition and learning curve we're currently in amongst this year - not just for the players but for AVB as well - needs to be appreciated. Hope will always exceed expectation. Your Spurs-minded medium will always push to punish that level of hope you placed in them. I reiterate that I still believe 5th spot would be a good finish. Granted, we may see the departure of one gifted Welshman should we find ourselves plunged into this situation, but this offers the opportunity for another gifted player to come in and make their mark. AVB has worked closely on pinpointing our weaknesses and sought to immediately flush them from our system. We look a far tougher mental outfit this year. On reflection even the Inter Milan game at the San Siro required an immediate level of belief when facing what seemed (to most) to be an underwhelming aggregate defeat, we pulled through and just about limped over the finish line. Is this the all-too-typical internal Spurs collapse we're so used to, or is this showing new character and belief to pull through? You can't help but almost feel that expectations are quickly matching your hopes for this year. It's human, it's inevitable. A season without Spurs playing on your emotional strings wouldn't be a Spurs season at all. The margins between our hope and expectation are closing. You find yourself with this warped sense and alien feeling that Spurs aren't actually a bad side. This is our first season after big changes in the summer yet we're toying with the reality that we could finish second or third. We've got all of the foundations to be a top side. We've got players that have bought into our manager's ideas and philosophies. If they can believe in themselves, why can't we? Will we do the impossibleimprobable possible and finish in the top four?